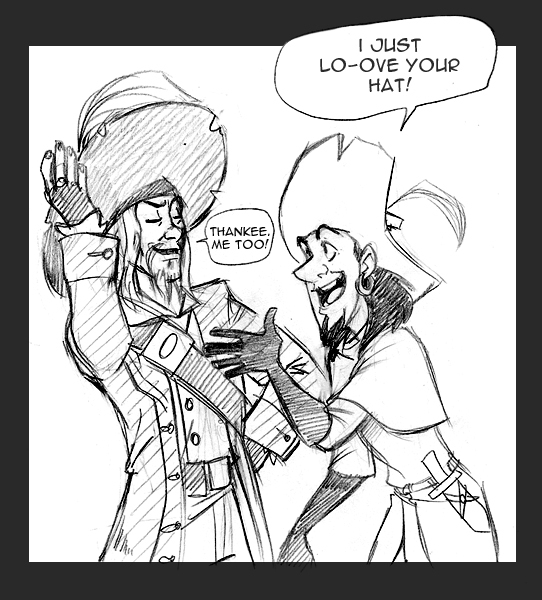 Clopin,Barbossa: Shared Love. A love of big hats. Wallpaper and background images in the disney crossover club tagged: crossover disney clopin barbossa hats.